I have wanted to make elderflower cordial for YEARS! It was always my first choice as a drink, I make the best lemon, elderflower and white chocolate truffles as Christmas gifts and the flowers are just so beautiful. I had asked Dad not to cut down any of the Elder trees at my Grandma’s farm, so I could have a great selection, but those flowers will be round two of cordial, as they aren’t quite ready yet. We have a park down the road from our house that we walk through quite often and after weeks of seeing all the flowers going to waste I took a bag and a pair of scissors down and have made two batches already - and there are so many more flowers just not being used! As this was my first time making cordial of any kind, I found a recipe with the prettiest picture (this BBC Good Food recipe: https://www.bbcgoodfood.com/recipes/531660/homemade-elderflower-cordial) and then I was away. I made a half batch first, just to make sure it didn’t taste bad. I took it to our Sunday potluck dinner and it was approved all round (with my friend Tina mentioning it needs gin, she wasn’t wrong). And now I have about 1/3 left of those first batches and another full batch almost ready for bottling. I was going to link my truffle recipe (when I say my recipe… It was a Donna Hay one and she has since removed it from her website!) 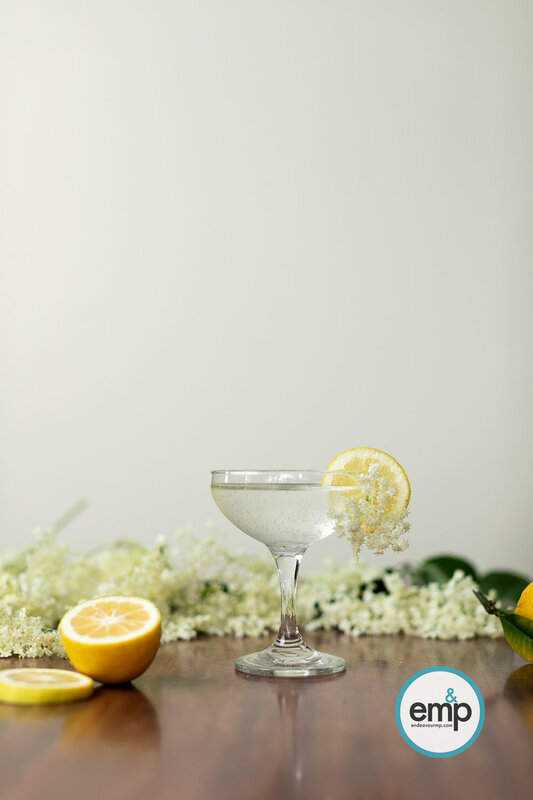 but instead you get images of all the flowers + my Elderflower, Lemon, Gin and Soda cocktail, the perfect almost summer drink.